Houston comes off a 19-17 win on the road at the Denver Broncos where they orchestrated a slight upset as a one-point underdog. The Texans defense held serve in the fourth quarter after an early field goal by kicker Ka’imi Fairbairn nosed them to the front. The victory marks Houston’s sixth consecutive win after starting off the season 0-3. The Redskins rebounded nicely after getting ransacked two weeks ago at home at the hands of the Atlanta Falcons. Washington took to the road last Sunday and defeated the Buccaneers on their own soil, beating Tampa Bay 16-3 winning outright as a 3.5-point underdog. The Redskins defense led the way as they created four turnovers to help Washington get the win. 65% of the betting public have stepped in on the Texans as their play has excited many to back them here with the low-hanging fruit. Despite a lean by the consensus on the Texans, the line has not moved in response. In the last four fixtures between the Skins and Texans, each side has won twice. The two teams have met on a four-year cycle with respect to cross-conference scheduling. In the last encounter in 2014, Houston defeated Washington 17-6 at home. Redskins wide receiver Jamison Crowder is listed as day-to-day as we approach Sunday and this is significant if Washington can get him on the field as he has served as a great complement to Josh Doctson. 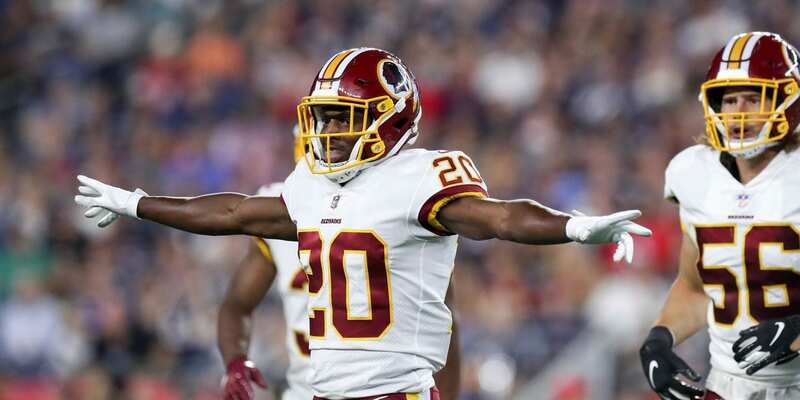 In addition, running back Chris Thompson is also listed as day-to-day who has served previously as an excellent third down back for Washington. Having both available will enhance Washington’s offense as it will give them more options to attack a stout Houston defense that sits ninth overall in total defense (336.3 yards per game). The Texans have some young and dynamic talent in their ranks, including one of the game’s best receivers DeAndre Hopkins. D-Hopkins has been supreme in 2018 as he already owns seven scores and 894 receiving yards just past the half-way mark of the season. He serves as quarterback Deshaun Watson’s primary target in a passing offense that accrues 248.9 yards per game (18th in the NFL). The bread and butter of Houston’s game like Washington is their rushing attack which compiles 120.2 yards on the ground per game (11th in the NFL). The Redskins love to implement a heavy dose of the run. Washington’s 10th-ranked rushing attack (121.2 yards per game) is spearheaded by future Hall-of-Famer Adrian Peterson. With him to round off the backfield, veteran quarterback Alex Smith who is known as a man that knows how to take care of the football. To embellish upon this principle, Smith is a high-percentage passer as he has hit 63.5% of his attempts while throwing just three interceptions. The Redskins approach is to play keep-away and let their fifth-ranked rushing defense (90.9 yards per game) shut down opponents and limit scoring as they surrender just 19.4 points per game (fifth in the NFL). The most notable trend between these two opponents is the narrative that the favorite is 4-0 ATS in the last four meetings. This trend will only encourage more action on the red-hot Texans. It’s going to be a cool day in the Nation’s Capital as temperatures are forecasted to be in the upper 30’s to lower 40’s. There is a limited chance of precipitation with winds prognosticated to be more or less non-existent. According to Scores and Odds, there is a significant edge here in the Skins being priced yet again as an underdog this week in light of what they achieved last week in Tampa Bay. In fact, some would say that the Skins should be the team favored here with home field and we would have to agree with that position. Writing off the last result at home against Atlanta as a nasty spat, the Redskins have defeated some quality opponents in D.C. throughout the season already, including Dallas, Carolina, and Green Bay. However, given the fact that Houston is riding a hot hand this team will assuredly get a lot of attention until they finally lose a game. This is that game. There is an old saying that sometimes you are better off lucky than being good and Houston has won three games by a field goal or less over their present winning streak, two of which were decided in overtime. A stingy Redskins rushing defense will bring the Texans back to orbit when they hit a brick wall in a hostile environment.